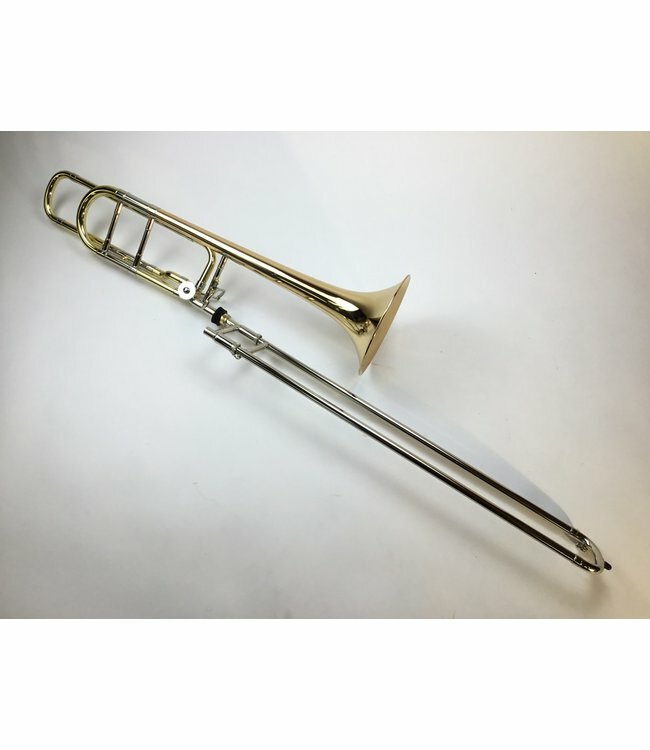 Used Bach LT36BOG Professional Bb/F Tenor Trombone in lacquer. .525” light weight nickel silver hand slide, open wrap rotor valve section, 8” gold brass bell flare. Instrument is in good condition apart from a few minor lacquer scratches throughout, minor ding in F tuning slide, and evidence of previously repaired minor ding toward top of bell stem. Comes with Bach case.